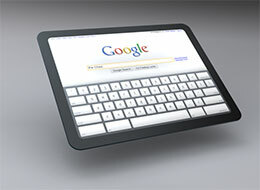 Jason Neumann RE/MAX Kelowna Real Estate: Google Chrome O/S Tablet A Reality? Google Chrome O/S Tablet A Reality? A series of changes to Google Chrome OS’s source code provide the clearest indication yet that the search giant is preparing its notebook OS for the tablet form factor. If Google really is preparing for the release of a tablet version of Chrome OS, what does that mean for its existing tablet OS, Android Honeycomb? The most prominent tablet running Honeycomb, the Motorola Xoom, has sold around 100,000 units, an okay start for a new device running a new OS but nothing compared to iPad 2 sales.